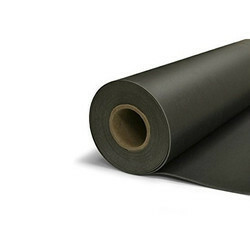 Offering you a complete choice of products which include noise barrier, black vinyl noise barrier, transparent noise barrier, mass loaded vinyl noise barrier and vinyl noise barrier. Providing you the best range of Noise Barrier, Metallic Noise Barrier, Transparent Noise Barrier and Mobile Noise Barrier with effective & timely delivery.Keeping in sync with the latest market norms and policies, we are indulged in providing a high quality range of Noise Barrier. 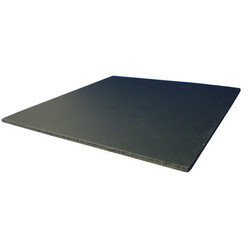 Sound barriers are most effective at mid- and high-frequencies, while low frequency sounds may require the use of longer and taller sound walls for mitigation. At a minimum, the sound barrier should at least block the line-of sight between the sound source and the receiver. Being a customer oriented enterprise; we are engaged in providing a wide array of Transparent Noise Barrier. Sound Barrier walls are normally used to place a sound barrier between a noise source and a target population. 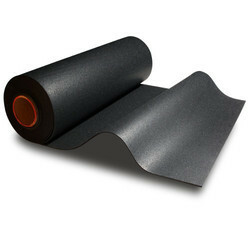 Sound barriers are an effective means to reduce the noise impact from sound sources affecting sound-sensitive receivers. 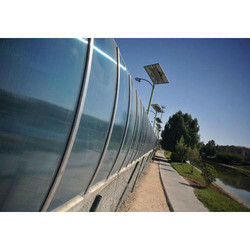 Our Metal noise barriers with transparent element are made of galvanized aluminum or steel panels in between polycarbonate or acrylic sheets, that make up a sound-proof casing inside them along with aesthetic properties and being transparent allows people to view the sceneries of other side. Looking for Noise Barrier ?